Essex County, New Jersey is truly a fascinating place for so many reasons. Learning the little-known, interesting facts about Essex County could help you impress your teachers or friends, adjust as an expat in Essex County or simply appreciate the place a little more. 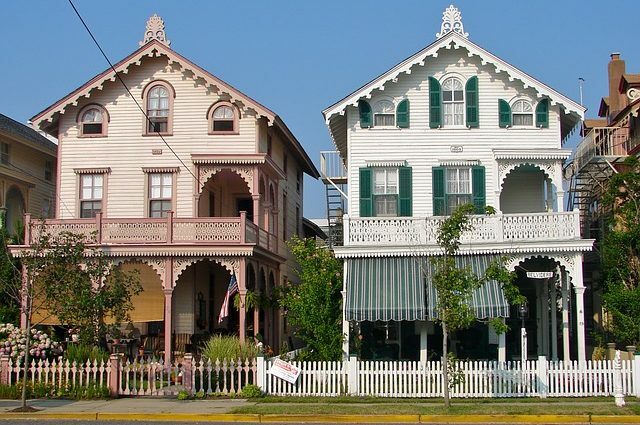 Maybe, after reading these fun facts about Essex County, you decide to make it your new home or just explore it as a tourist. Either way, we know you will love it here! Knowledge is power. So, take this opportunity to learn a few interesting facts about Essex County. Let’s start off with some of the less interesting but still worth knowing facts about Essex County. In 1666, 30 Puritan families from Connecticut established a settlement on the banks of the Passaic River (the location of today’s Newark). This is when the recorded history of Essex County began. In 1682, Essex County was established. Monmouth, Bergen, Middlesex, and Essex County were NJ’s four original counties. It got its name from Essex, a county in the eastern part of England. Essex County is located in the northeastern part of New Jersey and is part of the New York Metropolitan Area. Today, Essex County consists of 22 municipalities. They are Newark, Bloomfield, Verona, Caldwell, Cedar Grove, South Orange, West Orange, East Orange, Glen Ridge, Millburn, Essex Fells, Roseland, Fairfield, Irvington, Livingston, Maplewood, Belleville, Montclair, Nutley, Orange, North Caldwell, and West Caldwell. With a population of 808,285, Essex County is the third-most populous county in the state of New Jersey. The population keeps growing, which keeps Essex county movers busy all year long. The county has dozens of private, public, special education and vocational schools. There are 23 school districts in Essex County. Moreover, there are many large and small colleges and universities. Essex County is home to Belleville – the Cherry Blossom Capital of America. This county was the first one in the country to create a county park system, in order to avoid losing all of its lands to development. The 5,985-acre park system includes 20 parks, five reservations, as well as numerous facilities. In 1837, Grover Cleveland, the 22nd and 24th President, was born in Caldwell, NJ. Also, he was the only US president to serve two non-consecutive terms in office. If you are a fan of the HBO television series The Sopranos, you might find interesting that the exterior of the family’s home is located in North Caldwell. A few big Hollywood stars grew up in Essex County. Do names like Kevin Spacey, Tom Cruise, Denzel Washington, and Steven Spielberg sound familiar? The seat of the county is Newark – its largest municipality both in terms of population and land area. The city has many amazing art galleries including Aljira, a Center for Contemporary Art, Gallery Aferro, City Without Walls, Sumei Arts Center, Rupert Ravens Contemporary, and the Paul Robeson Galleries at Rutgers–Newark. The Newark Museum is the largest museum in the state of New Jersey. 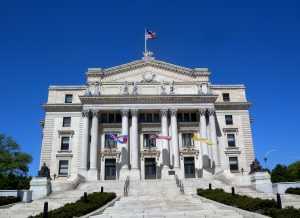 Newark is home to the New Jersey Historical Society with rotating exhibits on Newark and New Jersey. Port Newark is the largest container terminal on the East Coast. Newark has 15 sister cities, including Aveiro, Seia (Portugal), Xuzhou (China), Freeport (Bahamas), Rio de Janeiro and Belo Horizonte, (Brazil). Many famous names in the world of entertainment, science, and art were born here. Some of them are Philip Roth, Stephen Crane, Shaquille O’Neal, Jerry Lewis, Whitney Houston, Gloria Gaynor, etc. The Sopranos is partially based on a true story about Newark mobster Richard Boiardo. They filmed many scenes in Newark. Branch Brook Park was added to the National Registers of Historic Places in 1981. It offers tons of fun activities throughout the year. The City of Newark is the 3rd oldest city in the country. In 1776, Thomas Paine wrote The American Crisis while he was at a campfire in Newark. George Washington used his inspiring words to motivate discouraged soldiers. In 1869, Thomas Edison invented Universal Stock Ticker in Newark. Downtown Newark “Four Corners” intersection used to be the country’s busiest intersection. Newark once had a toy factory that specialized in toy trains. Today, Dorfan toy trains are rare and valuable collectibles. Gutzon Borglum, the sculptor who created Mount Rushmore, also sculpted Wars of America to honor all those who lost their lives in war. You can see this sculpture in the historic Military Park, located in Downtown Newark. His other works can be seen around town. The annual Thanksgiving parade started in Newark at the Bamberger store. In 1924, it was relocated to New York City. The first skyway built in America was Newark’s General Pulaski Skyway. It opened in 1932. In 1935, the G. Krueger Brewing Company from Newark was the first one to start selling beer in steel cans. Newark’s Branch Brook Park is the oldest county park in America. 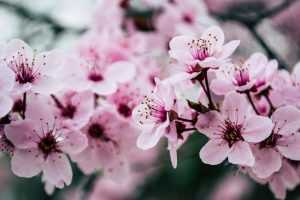 With about 4,300 trees, it has the largest collection of cherry blossom trees in the country. The Branch Brook Park Skating Center is among the last remaining urban roller skating rinks in the country. Our final interesting fact about Essex County is that Newark Liberty International Airport was the first municipal commercial airport in the country. 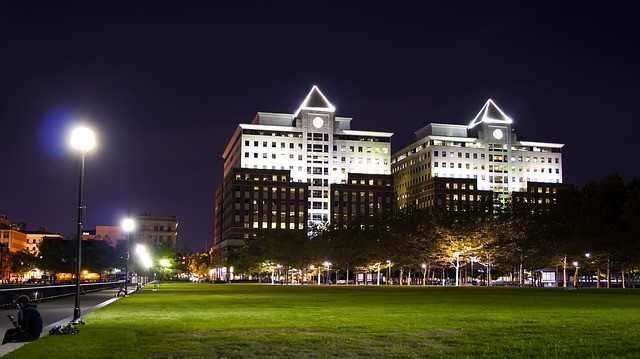 Newark, NJ is one of the oldest cities in the United States. Well, we hope you learned something new about Essex County today. With twenty-two towns and their ethnic and cultural diversity, Essex County has something for everyone. In case you like our interesting facts about Essex County and you want to learn more, visit it and have firsthand experience. There are many hotels and other types of accommodation to choose from. If, perhaps, you decide to settle here permanently, find the best housing option and call one of the professional furniture movers NJ offers to help you with your residential relocation. The best months to visit Essex County are May and June while the best seasons to move here are spring and fall.